The Moen Waterhill 14-Inch Extension Shower Arm offers vintage style and character to add provincial elegance to your bathroom. 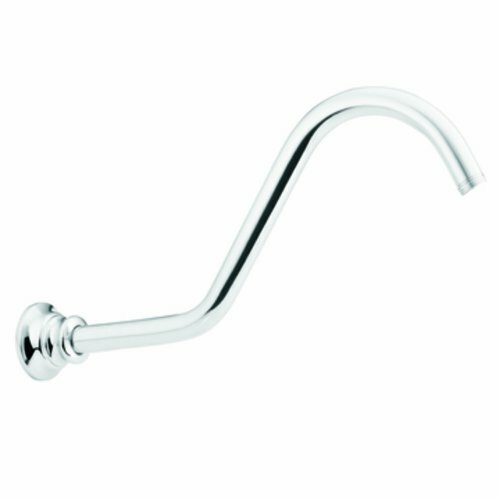 This distinctly gooseneck curved extension features a top finial and an integrated flange, and is compatible with a variety of stylish Moen showerheads. Standard 1/2-inch connectors offer easy installation. The Moen Waterhill 14-Inch Extension Shower Arm is available in three stylish finishes to match your bathroom decor and is backed by a limited lifetime warranty. 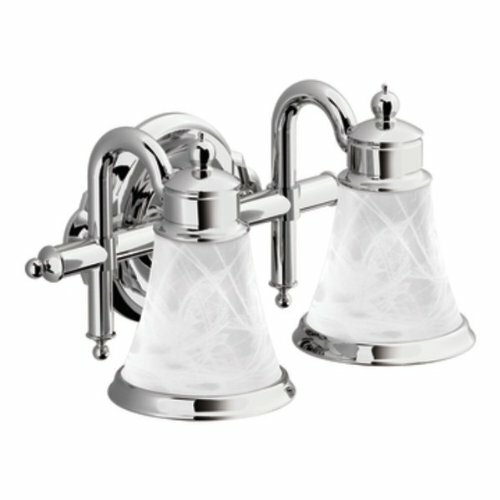 YB9862CH Finish: Chrome Features: -Bathroom fixture.-Fixtures can be mounted with globes facing either up or down.-Quick connect wiring allows you to pre wire the light fixture to the junction box.-UL listed (for dry locations). 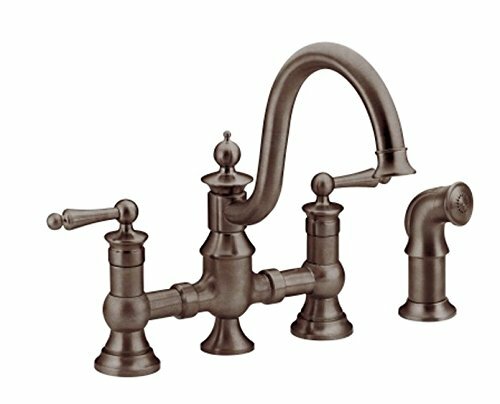 Options: -Available in Chrome, Brushed Nickel, and Oil Rubbed Bronze Finishes. Specifications: -Accommodates: 2 x 100W Max 120V medium base (Not included). Dimensions: -Dimensions: 10.6" H x 9.1" W x 19.3" D. Collection: -Waterhill collection. Warranty: -Limited lifetime warranty. 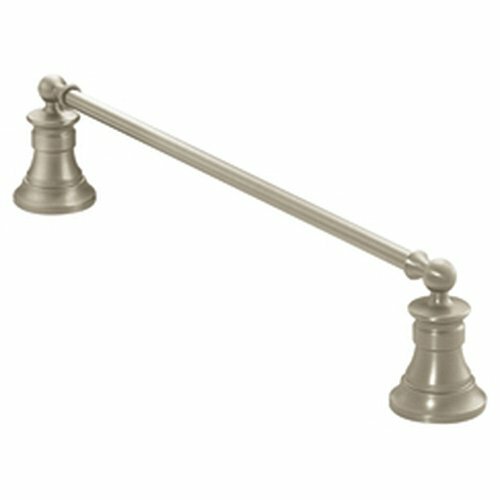 YB9824CH Finish: Chrome, Size: 24" Features: -Tower bar.-Reminiscent of rich antique elegance.-Product Type: Towel Bar.-Material: Metal.-Style: Traditional.-Orientation: Wall Mounted.-Overall Height - Top to Bottom: 2.4.-Overall Length - Side to Side (Size: 18''): 18.-Overall Length - Side to Side (Size: 24''): 24.-Overall Depth - Front to Back: 3.83. Color/Finish: -Finish: 1: Chrome.-Finish: 2: Nickel.-Finish: 3: Bronze. Dimensions: -18 in. : 2.4'' H x 20.4'' W x 3.83'' D.-24 in. : 2.4'' H x 26.4'' W x 3.83'' D.-Overall Product Weight: 2.38 lbs. Collection: -Waterhill collection.-Collection: Waterhill. Warranty: -Limited lifetime warranty. 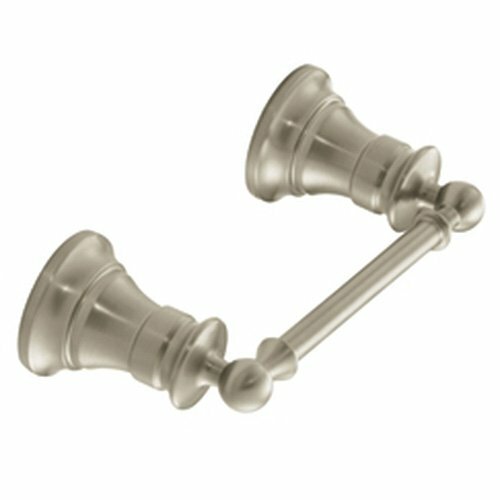 YB9824BN Finish: Brushed Nickel Features: -Included template and mounting hardware take the guesswork out of installation. -Metal mounting post for extra security. -Corrosion resistant. Product Type: -Towel Bar. Style: -Traditional. Mount Type: -Wall Mounted. Primary Material: -Metal. Dimensions: Overall Height - Top to Bottom: -2.4". Overall Length - Side to Side: -26.4". Overall Depth - Front to Back: -3.83". Overall Product Weight: -2.6 lbs. YB9808BN Finish: Brushed Nickel Features: -Toilet paper holder.-Reminiscent of rich antique elegance.-Spring-free design.-Changes the roll quick and easy. Color/Finish: -Highly reflective cool and warm grey metallic look with dark accents. Dimensions: -Overall dimensions: 6.2" H x 3" W x 11.2" D. Collection: -Waterhill collection. Warranty: -Manufacturer provides limited lifetime warranty. 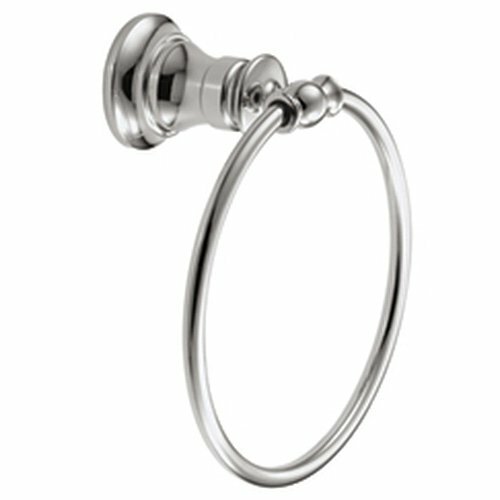 YB9808CH Finish: Chrome Features: -Toilet paper holder.-Reminiscent of rich antique elegance.-Spring-free design.-Changes the roll quick and easy. Color/Finish: -Highly reflective cool and warm grey metallic look with dark accents. Dimensions: -Overall dimensions: 6.2" H x 3" W x 11.2" D. Collection: -Waterhill collection. Warranty: -Manufacturer provides limited lifetime warranty. YB9886BN Features: -Wrought Iron.-Oil Rubbed Bronze. Includes: -Mounting hardware and instructions included. Construction: -Constructed of zinc. Color/Finish: -Brushed nickel finish. 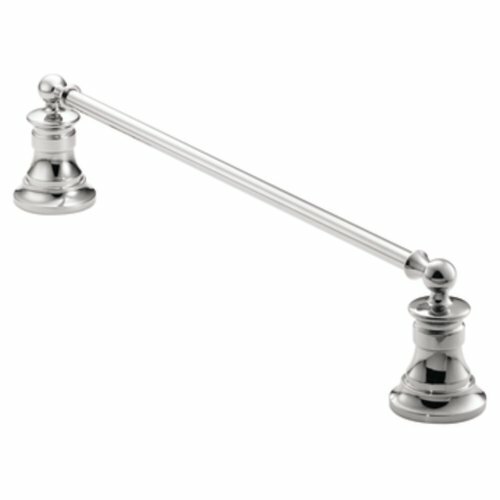 Dimensions: -Overall dimensions: 8'' H x 7.07'' W x 3.83'' D. Collection: -Part of the Waterhill collection. Warranty: -Backed by The ShowHouse Guarantee: Limited Lifetime Warranty. Looking for more Waterhill Collection similar ideas? Try to explore these searches: Pearl Rhinestone Buttons, Empire Finish Table, and Energize Beauty Body Wash.
Look at latest related video about Waterhill Collection. Shopwizion.com is the smartest way for online shopping: compare prices of leading online shops for best deals around the web. Don't miss TOP Waterhill Collection deals, updated daily.